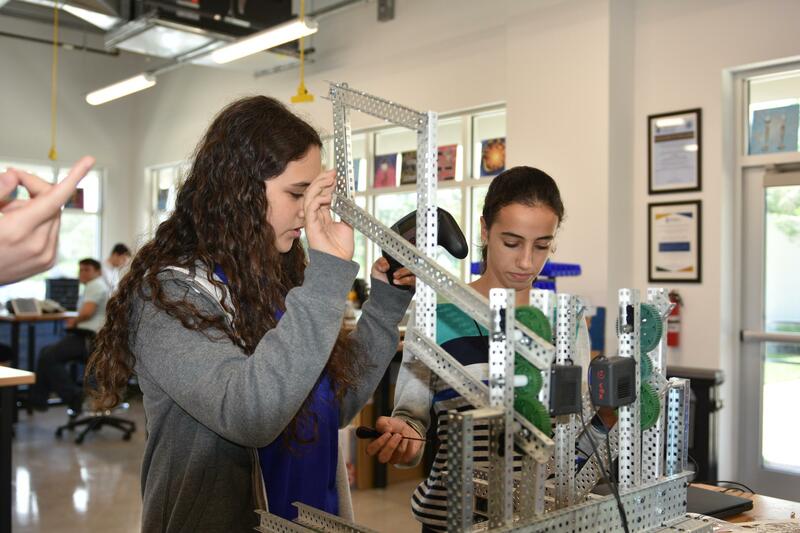 KYHS leads South Florida Jewish day schools in its offerings of STEM opportunities. KYHS students have been serving as STEM Ambassadors to help local middle school students become exposed to what KYHS’s STEM program has to offer. Our state-of-the-art 1,500 sq. 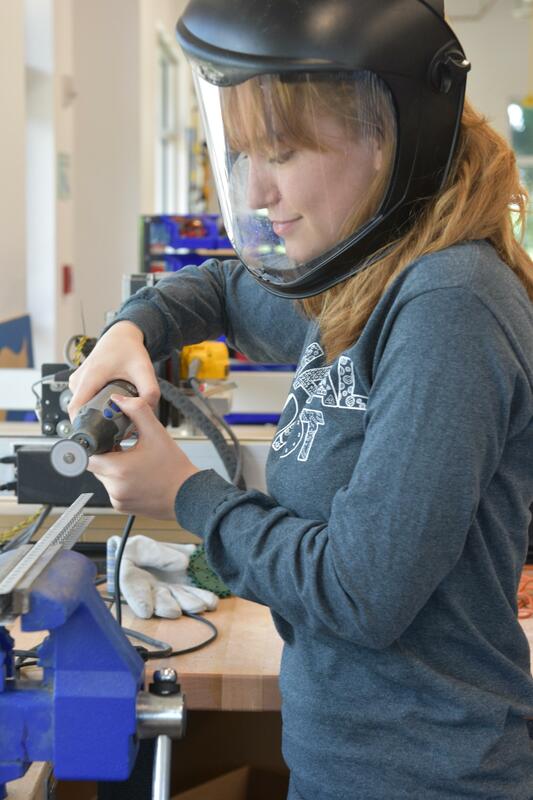 ft. MakerSpace houses two professional grade 90W laser engravers, industry leading 3D printers, a virtual reality hub, a computer numerical control router with a square meter drill bed, a circuitry and soldering station, woodworking zone and an integrative art center. Our three year engineering and coding program, in partnership with CIJE (Center for Initiatives in Jewish Education) and Project Lead The Way, offers an extensive hands-on experience for students to culminate a melding of creativity with scientific knowledge in designing capstone projects to solve real world problems. Students have the option to continue with AP Computer Science A (Java) and/or an artificial intelligence machine learning elective. In addition, we are the only school in the world to be awarded first place twice in the annual international Technion Rube Goldberg engineering competition, where each student team member was awarded a $15,000 scholarship to the Technion. 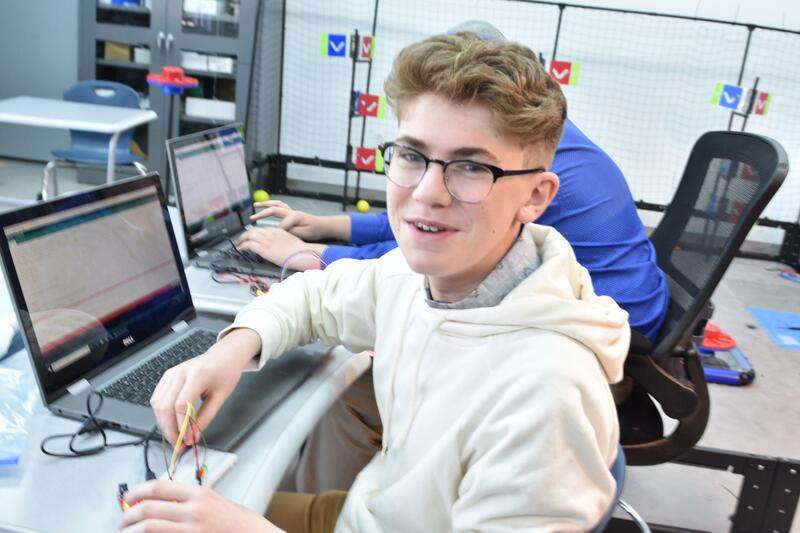 In 2016-2017 our VEX robotics team led the way in starting the nation’s first Jewish Robotics League, where we now have over 30 students participating. We have also developed a relationship with FAU’s Machine Perception and Cognitive Robotics lab where several of our students have begun programming their own artificial intelligence algorithms (specifically, neural networks). These student-created projects can be submitted as entries to the prestigious Regeneron Science Talent Search (formerly known as Intel / Westinghouse).